Kanhaiya Kumar, 32, is using all his oratorical and crowd-working skills to appeal for support in the form of donations. His campaign team has set a target of Rs 70 lakh. Kanhaiya Kumar launched his campaign this morning and within hours, had racked up over Rs 5 lakh. Kanhaiya Kumar, one of Bihar's most watched candidates for next month's national election, is making a twin appeal to his supporters - for votes, and for "notes". The student leader is crowdsourcing his election campaign in Begusarai, where the CPI has fielded him. The fiery former JNU student, fighting his first ever election, faces a formidable opponent. Union Minister Giriraj Singh of the BJP may be a reluctant candidate - he wanted to stick to his Nawada constituency and resents his party for forcing him to shift - but he promises to be a challenging rival. The last date of filing nominations are still a week away for Begusarai, which votes on April 29. Kanhaiya Kumar, 32, is using all his oratorical and crowd-working skills to appeal for support in the form of donations. His campaign team has set a target of Rs 70 lakh. It may not be too unrealistic, his supporters feel. Appealed for at least Re. 1 donation for his campaign fund, he said: "Like every drop of water fills an earthen pot, (your) donation of Re 1 to my campaign fund will help me to fight the election and take the voice of the marginalised and exploited to Parliament". 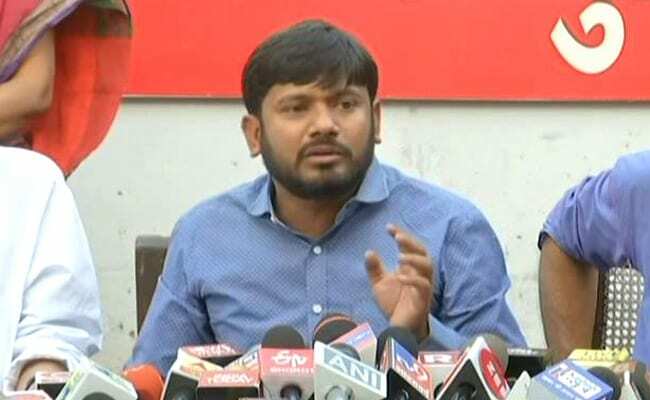 Referencing the cases of Gauri Lankesh, MM Kalburgi, Rohit Vemula and the missing JNU student Najeeb, Kanhaiya says in his appeal on the crowdfunding site: "At a terrifying moment like this, we all share the struggle to protect the values of our constitution and of humanity. It is often that people who raise genuine issues have to face vile schemes on one hand and resource crunch on the other. We really hope that you will make a financial contribution to the best of your ability and strengthen us in this shared struggle." The concept of "notes with votes", if one may call it that, is not a new phenomenon. Socialist leaders like Madhu Limaye and George Fernandes also used it to spectacular success against Congress candidates considered almost unbeatable. The national election will be held across the country between April 11 and May 19. The results will be declared on May 23. Bihar, which has 40 seats, will vote in all seven rounds.